This item is not stocked and usually takes 5-14 working days for dispatch. 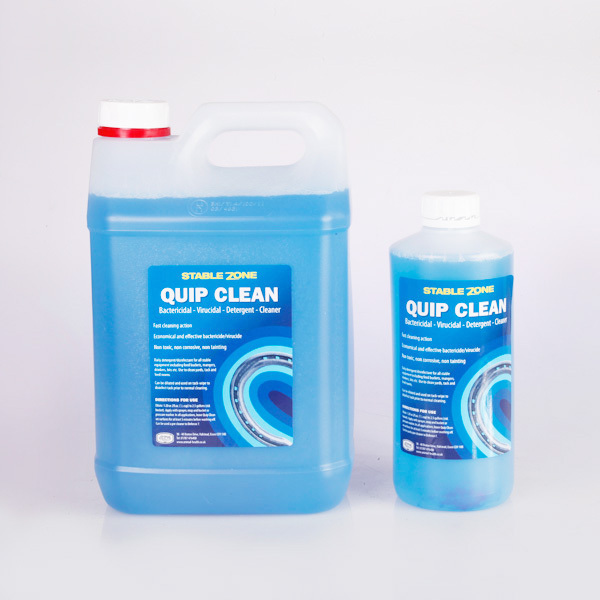 StableZone Quip Clean is a daily detergent/disinfectant for use in all stabling areas and on all stable equipment including feed buckets, mangers, drinkers, bits etc. There are currently no questions for StableZone Quip Clean - be the first to ask one!